In the event of severe weather conditions, NFL/NCAA officials will temporarily suspend the game. 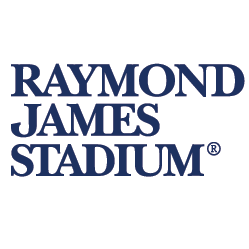 Raymond James Stadium will urge all fans to seek shelter in the covered concourse areas behind the stands, on the ramps or in the club areas. Stadium personnel will monitor weather conditions and keep fans updated on when play will resume. In the event of an emergency, Raymond James Stadium will ask all fans to immediately exit the stadium and walk across one of the surrounding perimeter streets, which include Dale Mabry Hwy., Tom McEwen Blvd., or Martin Luther King Blvd. Fans should then go to their vehicles and turn on their car radios or personal devices for reentry information.